Are you looking for shoes for your next travel? Are you going South and looking for some light sandals? I spent three weeks in Sri Lanka and South India and was wearing only clogs. I took off my other shoes and socks at the first moment I landed in India, put them to the bottom of my backpack and didn’t need anything else except my lovely clogs. This is probably the most attractive feature of the clogs (mainly known as Crocs, because it adds to the comfort and makes you feel like you’re walking on air. By far the most comfortable things I’ve ever worn. These shoes are very comfortable and well suited for the hot, sticky, sandy climate. The air flows well through the vents and offers a unique feel of cool comfort. You can get a little bit dirty because the holes allow all sorts of debris into the sandal while you’re walking, such as sand and rain water, but who cares about it? Somebody who afraid to get dirty shouldn’t go to such places like India or other South East Asia countries in the first place. I honestly recommend to try one. You don’t need to buy clogs made by Crocs as it can be pricey. Depending on size it can cost about $US15-30. I bought mine on the trip to Nepal in Kathmandu. It was noname, made localy and cost only $US 2 or 3 and they lasted for more then two years. I took my clogs to the hiking trip and every night it was like heaven for the feet after I was taking off my hiking shoes and putting on the clogs at guest house. I’ve been on a 1-year-round-the-world trip recently and the only shoes you need are a couple of flip-flops for the hot regions (beach and stuff) and a pair of light weight low cut trekking shoes. I had some from Salomon and they were great; for trekking (hot or cold, doesn’t matter), exploring cities, driving and everything else. Yes, flip flops need a little bit less space, but for longer walks clogs are more comfortable. I don’t care what anyone says, I love clogs. These do take up more room in the bag, but they also provide your body with a lot more support than a thin, lifeless flip-flop. Your foot and back are happiest when they have a little arch support. I forgot to mention one of clogs pros vs flip flops. Clogs protects your toes. Especially in the cities I occasionally manage to hit some concrete or rocks. I’ve recently been coverted to wearing crocs – at first I didn’t really find them comfortable for walking any longer than for about 5 min, but once my feet got used to them they were great. They’re light, easy to clean, comfortable and keep your feet cool in hot places. I might have to try these next time I am in a humid and/or tropical environment. Cannot beat the $5.00 price tag. It is really doesn’t cost much not to give a try. Not everybody like clogs, but I love them. I’ve never used clogs before while backpacking but I’d certainly be open to trying them – especially for such a low price-tag. Clogs may be don’t have good support to carry heavy backpacks, but in reality most backpackers don’t carry their backpacks for long distances any way. Clogs come handy in hot countries.Surely the best option out there. You can use them almost everywhere. In the beach for example..
that’s right, you don’t need shoes in hot climate. They don’t look it but clogs are such a comfortable shoe. You’re right narushan, they are so useful in hot countries. I would probably prefer keens for the additional support in case I get a crazy idea of going bushwhacking somewhere in the middle of the day (done that in the boulder fields in Hampi, India), but in general agree with the sentiment of lighter = better. I still haven’t tried Croc-style shoes. They just don’t look comfortable to me! Guess I’d better give them a try. Clogs may look ugly, but it really comfy, and for long walks, I’d rather choose comfortable footwear because that’s what makes the travel time (travel by foot) more enjoyable. I haven’t tried clogs. I love Chaco flip flops. Lots of support! It seems that clogs is the best option during traveling and tours. I have never tried it, but will do soon…….. I just came back from trip to Iran where most of time I was wearing clogs and will do it again next time. I haven’t tried crocs for traveling. But they are so comfy when you use it for doing groceries and shopping. I’ve been to the Philippines last November for a vacation and bought a local product while at the beach resort. It’s called Sandugo. It is stylish and tough at the same time. The cushioning is comfy, never had experienced pain underneath my foot. I used it for trail-hiking and for casual use. Up to now, the still look great and intact. I never thought it is the best shoes for travel as I myself is comfortable in wearing sneakers during my trip. 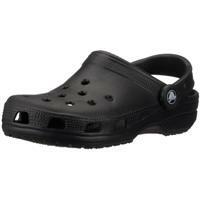 This shoes is similar to the crocs which are lightweight, relaxing and stylish. Are you sure you don’t boil your feet in there? I still refuse to try them on! You should try it. May be it is not for you, but recently I spent couple weeks in Iran with clogs and can’t complain about it. Crocs are pretty amazing, but I am not sure if I will bring mine on our upcoming trip. Undecided! Lina, where are you going? I am very grateful you did share your knowledge here. It is an exuberant post. Really at from my own experience at the time of travel it was important to choose shoes which gives comfort to our feet. Thanks for sharing your ideas…. You are right that during travel time we mainly gives important what we wear on our feet. Best suit shoes are suggested on your site. I really thanks to you for such a wonderful post. To choose the best must have more experience in that field and you did that job for me. Thank you for your suggestion for wearing the best shoes at the time of travel. This can help me to make my travel more comfortable. Thank you again for like and publish my comment on your website. Great Content! Love the Crocs. Gonna buy them for my next trip. Good work.